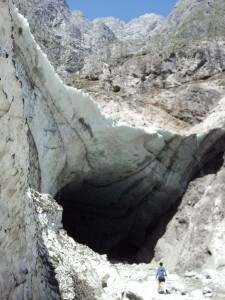 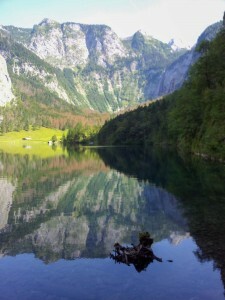 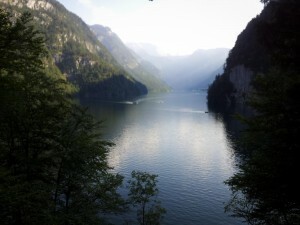 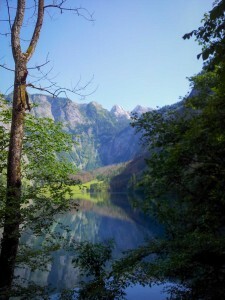 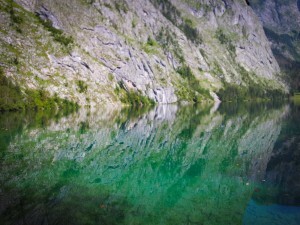 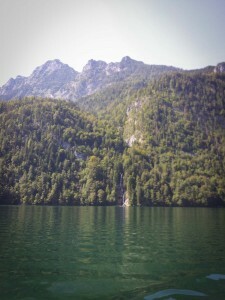 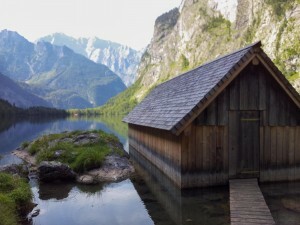 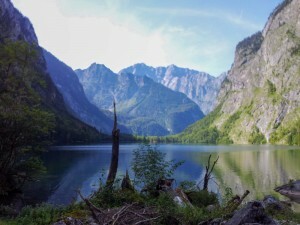 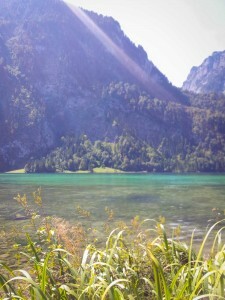 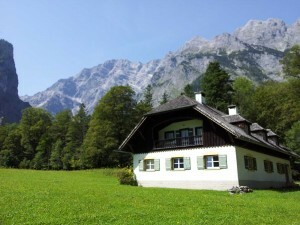 The Königssee is an amazing mountain lake with high mountains towering over it. 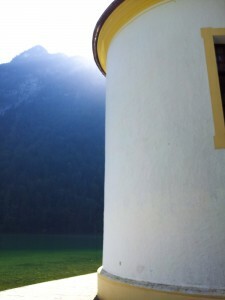 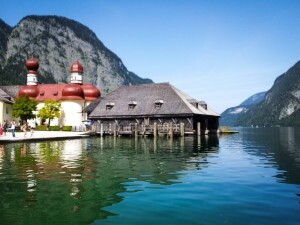 You can catch a boat and visit a nice church in the middle of the lake or go and visit Obersee (upper lake) which is also stunningly beautiful. 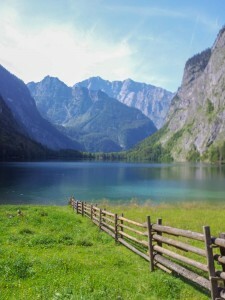 Obersee actually is quite famous in the Internet, where you can find lots of photos of it, although the captions are often musguided. 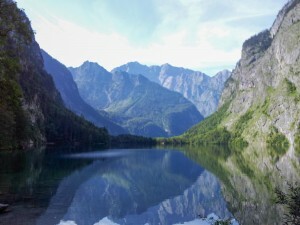 Königssee is located in the most southern-eastern corner of Germany, right next to the border to Austria. 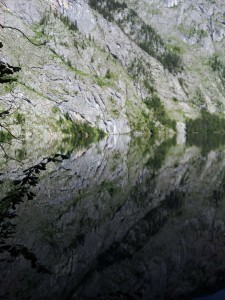 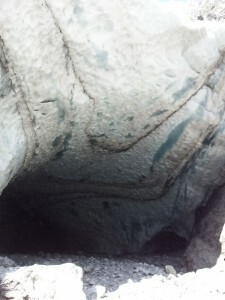 The literal translation of the name is „kings lake“.